Today Ken Wilks from Missing Link spent the afternoon with Northland Natural Pet sharing exciting new developments and products their company is working on. First off, Missing Link will be getting a packaging refresh over the next year which we thought looked standout. It includes modernized graphics, and strongly features the major selling points of the brand – including what each formula targets, what special ingredients it contains and reinforcing that it is the original veterinarian formulated superfood supplement. We were even more thrilled to hear about a new line of innovative Oral Care products at Missing Link, that we hope to see late 2016. 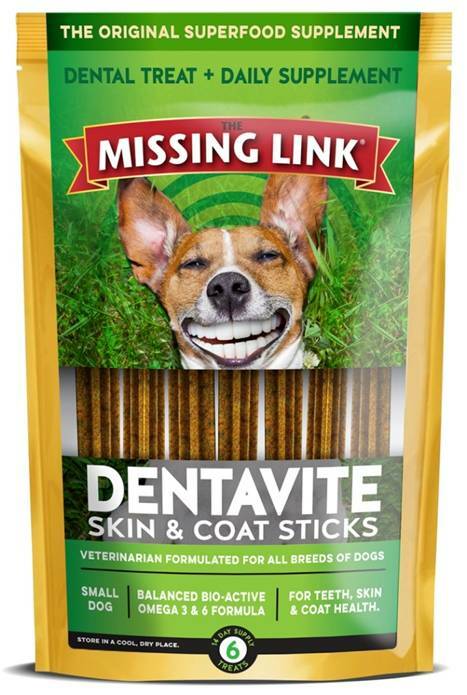 The collection is expected to include daily dental treats packed with all the fantastic benefits of the specially targeted supplements Missing link already offers in three new dental products available in four different formulas. We look forward to keeping you posted as these plans come together!